The Youtube channel of BMW Deutschland published a video of several BMW vehicles equipped with the xDrive system during some winter driving exercises. At the event, BMW also invited biathlon Olympic gold medalist Ole Einar Bjorndalen and BMW biathlon ambassador Sven Fischer, to test drive the BMW X5 on a snow-covered course. Other vehicles tested during the event were the BMW X6 ActiveHybrid, the 550i xDrive and the new F25 X3. Before jumping into the video which unfortunately is available in German only, let’s look at the history of the xDrive system. xDrive was introduced in 2003 with the first generation X3. Instead of a permanent torque split (which the earlier systems exhibit), xDrive provides torque split between the front and rear axles through the use of a multi-plate wet clutch located in the gearbox on the output to the front drive shaft. This setup allows xDrive to modulate the torque split between the front and the rear. If wheel slip was detected by the ABS/DSC system, xDrive will react quickly to adjust torque bias. The wet clutch is applied through a high speed electric servo motor turning a cam shaped actuator disc. xDrive is connected to the ABS and DSC systems. In the case that wheelspin or directional instability still occurs while xDrive is or has been modulating the torque split, DSC will brake independent wheels to regain traction and improve directional stability without driver intervention. 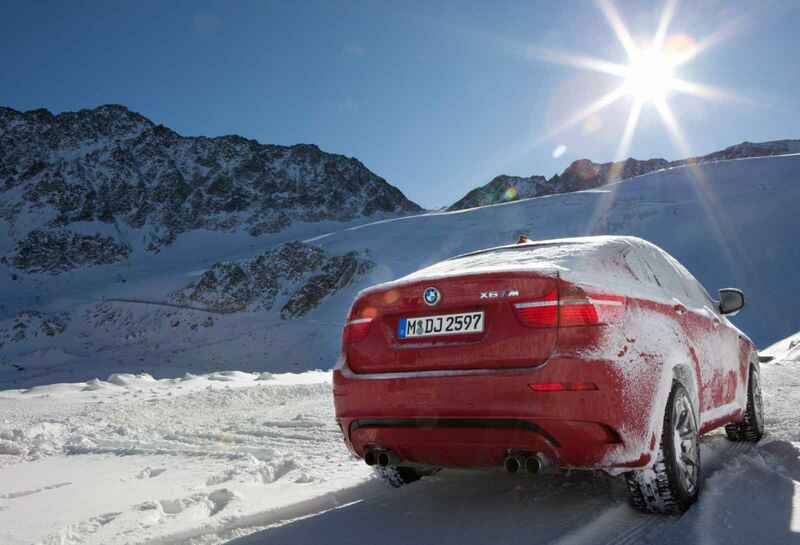 The front and rear differentials in xDrive vehicles are an open differential design, thus relying on brake application by the DSC system to transfer power from the slipping wheel to the wheel with traction. At the moment, the xDrive system is available on the X1, X3, X5, X6 and on the newer 3, 5 and 7 Series vehicles. Rumors say that 6 Series with xDrive might appear in the future.